The prevalence of diabetes is alarmingly spreading worldwide. It is one of the leading causes for the death mortality. Data from WHO shows that its global prevalence was about 8% in 2011 and is estimated to rise to 10% by 2030. It’s a silent killer meaning it disrupts the functioning of important organs like kidney, eye or can target neurons gradually which can be fatal. 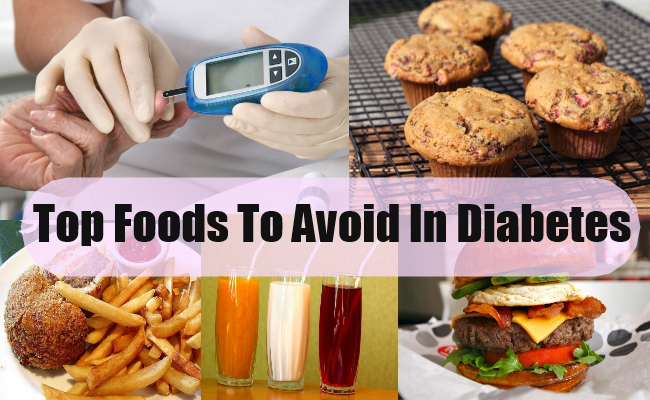 There are many people who consider diabetes as a disease. Ideally it’s a disorder where pancreas start stimulating less insulin than normal which leads to high sugar levels in blood and this doesn’t let sugar reach the cell. I have many patients who get very stressed and depressed when they get to know that have been detected as diabetic. They are of the impression that they cannot lead a normal life. I always tell my clients that treat diabetes normal. Main focus should be on food followed by activity and last should be the medication. If instructions are followed well, your diabetes would be under control. However, my experience has been that when it comes to food, most have many misconceptions which are very important to clear. I would like to share few of these myths with you all too! Avoid rice- This is the commonest myth which everyone has including people planning to have rice, ensure that you include a bowl of salad or some who are on weight loss. White rice is not bad. It is a simple sugar which easily shoots the sugar. However, if you have a good source of proteins like sprouts/curd/buttermilk along with the meal which helps in slow release of the sugar. Healthy Alternative: You can also opt for brown rice which are packed with antioxidants and fiber. Avoid potatoes– Many people avoid potato thinking it raises the blood sugar. However, potatoes being starchy needs to be eaten in moderation. Though being high on carbohydrate, it is also rich in Vitamin B6 which helps in nerve functioning at cellular level. Also, the cooking medium plays an important role. A boiled potato is far better than a deep fried potato- right? you all must be thinking how deep fried potato can have an impact on blood sugar. I shall explain this is my next point. Healthy Alternative: if the potato is clubbed with some other veggie, that’s absolutely alright as the portion of potato would be low. A boiled potato/barbequed or a grilled one is a good option. Avoid sugar: but oily stuff is not an issue- Everyone says, I avoid sugary stuff, still my sugars are not under control. However, if you see the other part of their diet, it’s loaded with fats meaning deep fried stuff/chips/wafers etc. This is because of the insulin resistance which is predominantly seen in type 2 diabetic people. The fat gets deposited at the abdominal region which resists insulin from reaching the cell. This leads to rising of the sugar in the blood. Thus, along with the sugar, fats need to be kept at bay. Remember, not all fats are bad. Healthy Alternative: If you plan to make vada/samosa at home, you can even roast them which requires less oil. less harm right? If it is eaten out, moderation needs to be followed! Avoid all the fruits especially mangoes/banana/grapes/chikoos- Many people say that fruits are sweet, hence needs to be avoided. However, the truth is that fruits are natural sugars and gives instant energy. Moreover, it is packed with antioxidants, vitamins and trace minerals. The timing of the fruits eaten is equally important. It is best to consume on empty stomach for the better absorption of nutrients or else can be eaten in the mid-morning or mid evening before 6 pm. It is always better to opt for a whole fruit instead of fruit juice. Healthy Alternative: Combine fruits with a handful of nuts for the dose of fiber which is present in nuts. You can also have chilled fruit yogurt (chopped fruits in yogurt). These are the few myths which doctors are being practiced till date. It is the lack of awareness which even doctors are not known of and this leads to misleading the patients. Sugar is a sweet poison which has it’s own disadvantages. The healthy alternative to sugar is jaggery, honey and stevia (natural sweetener). To conclude, a message to all diabetics, that you can lead a normal life as others by leading a healthy and balanced life and not going overboard. The article is well researched and articulated. The author has used common myths that circulate in yhe market…for dissemination . We come across a large number of unsubstantiated myths on eating and ultimately harm ourselves by following them in letter and spirit. The best thing about the article is that it advocates middle path that we must eat everything but in moderation and with other supplements.